Love bacon? On anything? Get it for free during Bacon Hour at McDonald's. Customers will be given two half pieces of bacon on the side with any purchase and can add it to whatever item they wish. The promotion is to celebrate bacon coming to the Big Mac and Quarter Pounder, along with introducing Cheesy Bacon Fries. 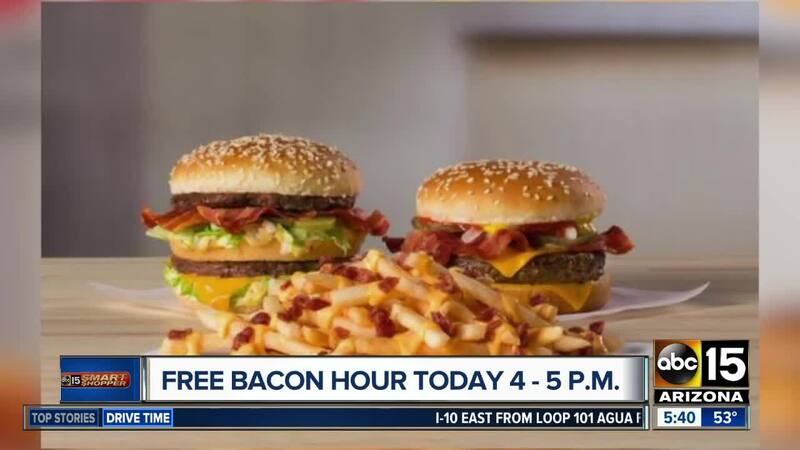 Bacon Hour will be held from 4 to 5 p.m. for one day only.